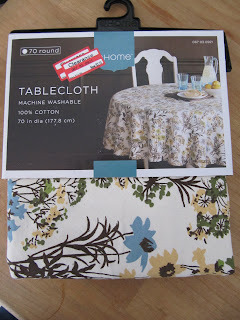 I'm back again...I just did a post on how I turned this sale tablecloth into 3 pillows and a tote bag. Here's the pillow, but I also wanted to show you how to close up the opening on the bottom with an invisible stitch. Here is the opening on the bottom of the pillow...pinned along the way. Take your needle with a single knotted thread and bring the thread through towards you, so the knot is on the inside of the layer closest to you. Seen here in the picture below. 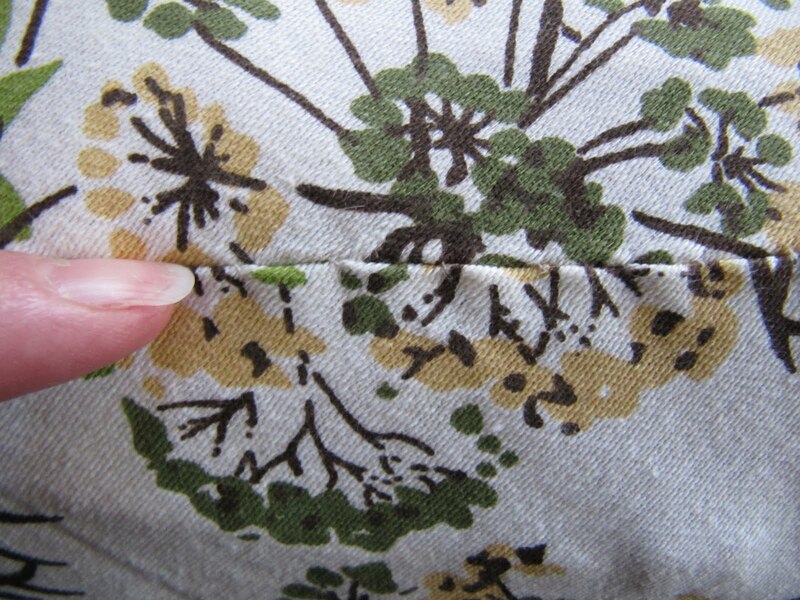 Keep the needle inside the fabric under the fold for about 1/4" to 1/2" and then poke it out a little from the fold. See the tip of the needle coming out? Now bring the point of the needle towards you and grab a little bit of fabric from the fold of the other side closest to you. Pull snug. Now you do the same thing again. 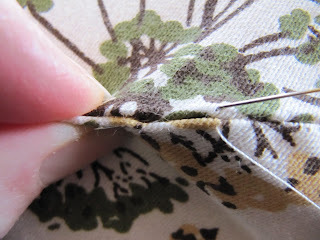 Place the needle across from where the thread is coming out, travel under the fold and come out towards you and grab a little fabric from the other fold. It's an invisible stitch, because the stitch that keeps the fabric closed together is under the folded part of the 2 edges of fabric. Just keep doing the same all the way across the opening. 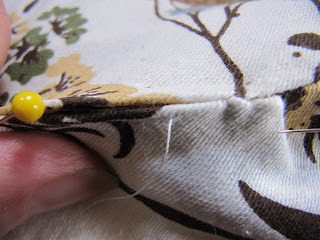 The stitches are hidden under the folds instead of the whipped stitch or a machine stitch showing on the outside. I hope this makes sense...let me know if you have any questions. o thanks for this! great tutorial! That is about how I do it when I want to hide the stitch, but usually I just overlap if it is prim. I was hoping you were going to tell me how to do it with a machine foot, lol. Thank you that was so easy to understand. Thanks so sharing it. I'm so glad you showed this. I've been doing it slightly wrong all this time, catching both sides of the fabric instead of just jumping across. It never looks quite right. Thank you so much! Pictures made this much easier to understand - thanks! Karen, I think I figured out the no reply thing. Thanks for your help! awesome! 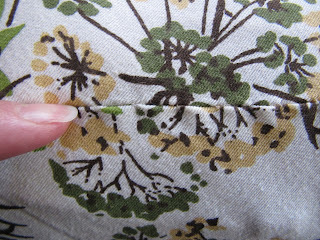 I have been avoiding how to do things that involved stitching it closed. It looked horrible everytime I tried it. I watched a few vidoes on youtube and still never figured it out. Now thanks to you, I'm no longer in the dark and scared to make something using this technique. thank you! 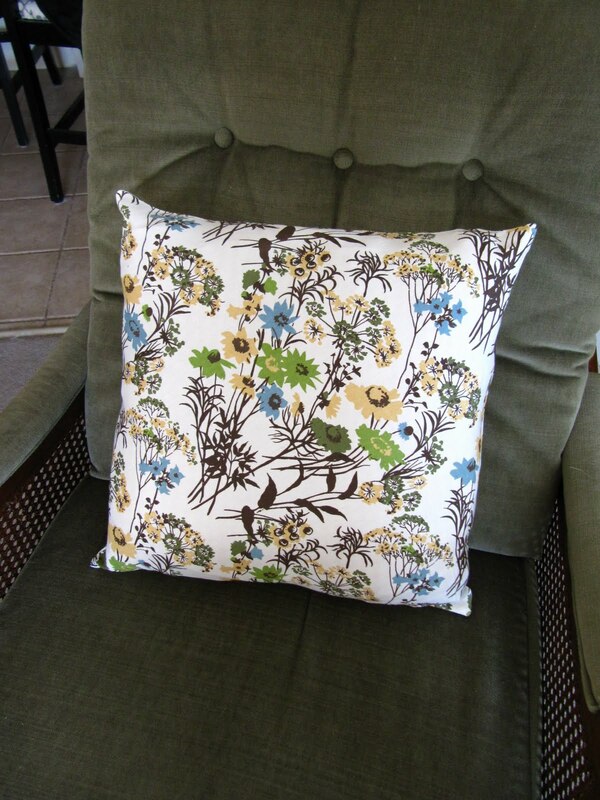 I cringe every time I have to hand sew a pillow closed, and it looks HORRIBLE. Now I think I know what I'm doing thanks to you! 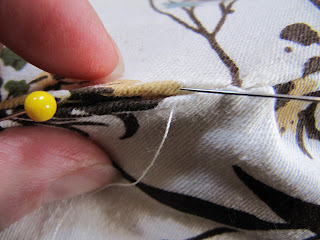 Great tutorial - I've heard this also called a ladder stitch. This is the stitch I use for all quilt bindings. Want another tip? 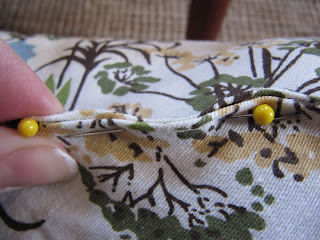 I use hair clips to hold binding (or two sides of a pillow) together - no needle pokes that way!!! 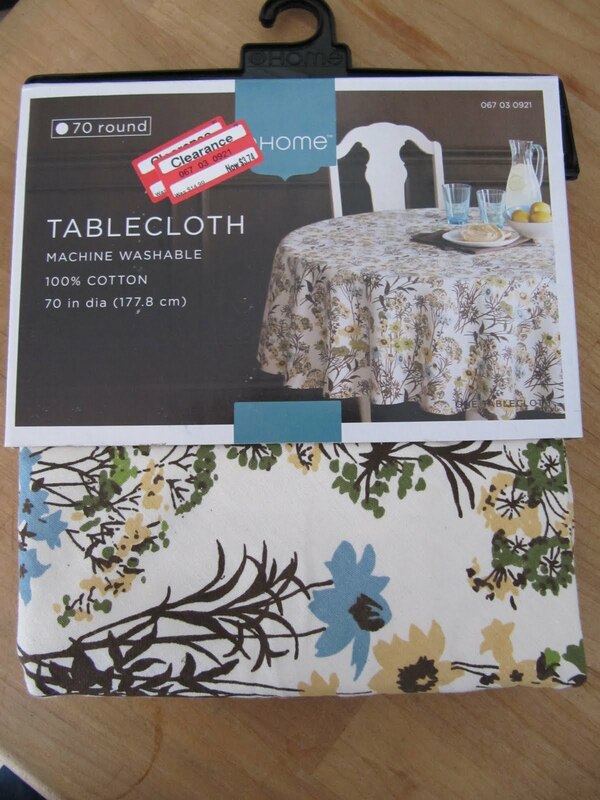 I love that table cloth. I just bought one at my target 2 weeks ago and backed my china cabinet with it to change the decor. love the pillows. this is my first time to link something from my blog!! Thank you for the tutorial. My mother showed me this years ago, thanks for the refresher, I needed it! Ok, so you made me feel like a 'real sewer!' I had JUST finished two pillows and closed them this way. Glad to know I'm doing it right! Thank you!! I have read directions a number of times for how to do this and it never made sense. Seeing step-by-step pictures was very helpful. It makes sense to me now! Thank you so much for this! I've been trying to figure this out for the longest time. You rock! Hmmm I like this, and Peg was right, it's very similar to a ladder stitch, but is not the same. It looks to me, from your pictures, you are going around in circles, kind of like an invisible whip stitch. 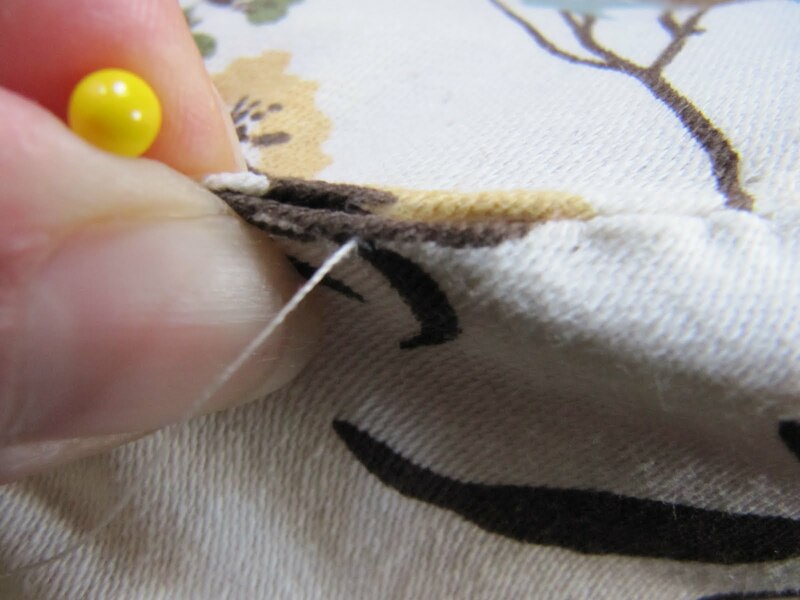 A ladder stitch (which is my favorite) has you going back and forth under BOTH sides of the folds, not just one side of the fold. 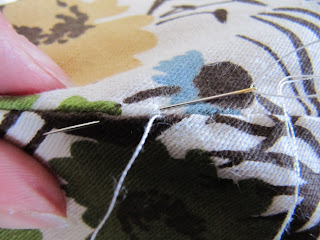 This keeps the stitches straight and eliminates pulling or "leaning" to one side of the fabric. Thanks for the tute - very helpful! Hi! Great tutorial. It looks like you made a modification on a ladder stitched seam. 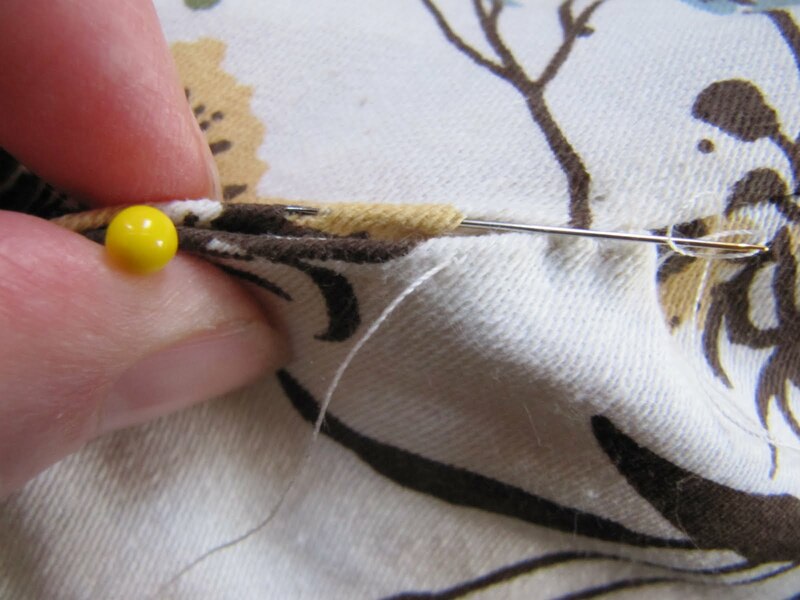 Not a blind stitch which is used to sew a hem like in pants and curtains etc. and looks quite different. I just found your blog and can't stop reading...well done! Oohhh I need this! Thanks so much! 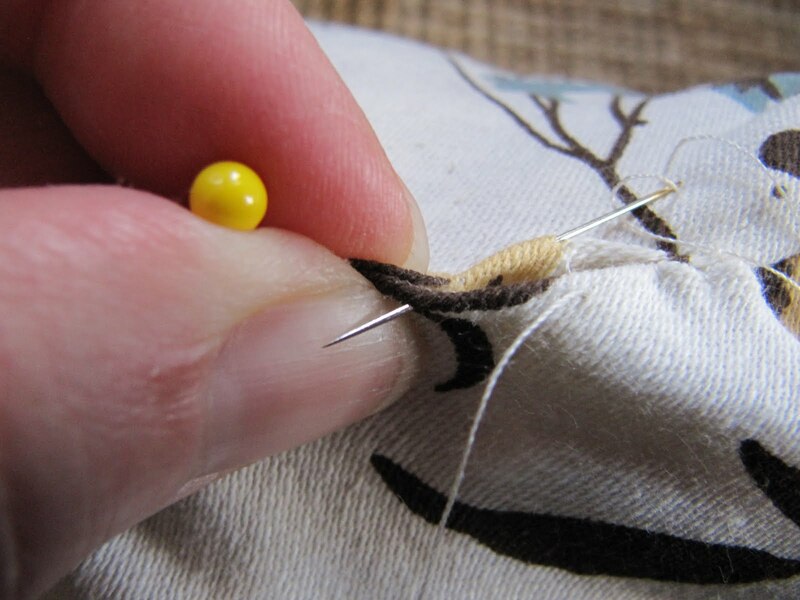 How do you end the stitch?? with a knot? if so, how do you hide it? 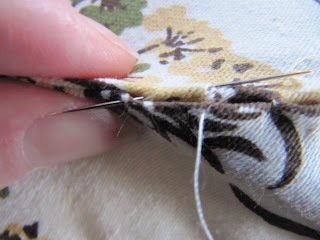 Oooo, I'm going to try this in place of my usual whip stitch, SO much nicer. Thanks. Love your blog too. All the tutorial will be very helpful for me.